BHOPAL: Dr Tazyeen Zahra Abidi has been felicitated by the Sultanate of Buayan in Southern Philippines. Tazyeen who belongs to Bhopal has got this rare honour recently. She has been bestowed the title 'Bai-a-labi' (Princess). Abidi who is managing director of Zain's International Company, Malaysia was invited for the royal proclamation from the royal house of Baloi and Sultanate of Buayan. Tazyeen was also felicitated as an 'Ambassador of Goodwill'. The event was organised in the Mt Sabrina resort of General Santos city. Jess Durza, the presidential adviser of Republic of Philippines was present. 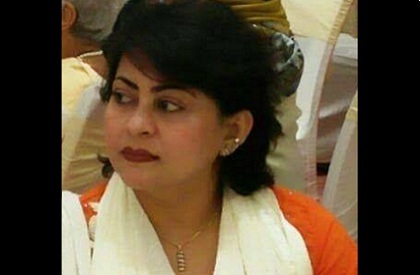 Tazyeen Zahra Abidi hails from Bhopal. Her family lives in Idgah Hills, Bhopal. She has herself spent most part of her life in Bhopal. Her father Dr Ali Abbas Ummeed is a renowned Urdu poet.